For those on the hunt for new talent on social media, Facebook might not be your first choice in terms of where to look. This is especially true given LinkedIn’s status as the go-to “professional” social network, right? Facebook boasts a bigger talent pool than any other network. Compare Facebook’s 2 billion monthly users to LinkedIn, where only 25% of their 500 million users are active monthly. Not every profile on LinkedIn represents someone actively looking for a gig. Recruiters may accidentally overlook the perfect fit because they don’t realize their ideal candidate is actually interested in new opportunities. Traditional job boards are totally time-sensitive. Does it really make sense to recruit someone based on what time they were online to apply versus their work history and qualifications? On the flip side, Facebook recruiting allows employers to encourage new talent to come to them. Meanwhile, those hiring via Facebook can drill down deep to find the perfect fit. Sick of job boards flooded with unqualified applicants? Haven’t had much success with LinkedIn? 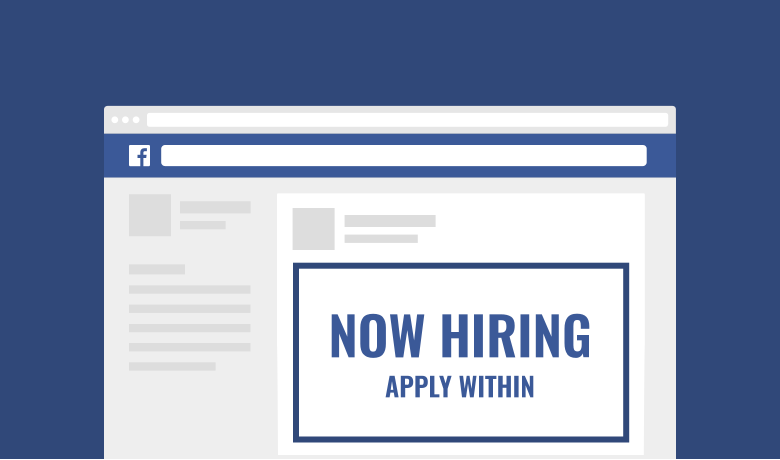 Facebook recruiting could be the missing link in your hiring process. 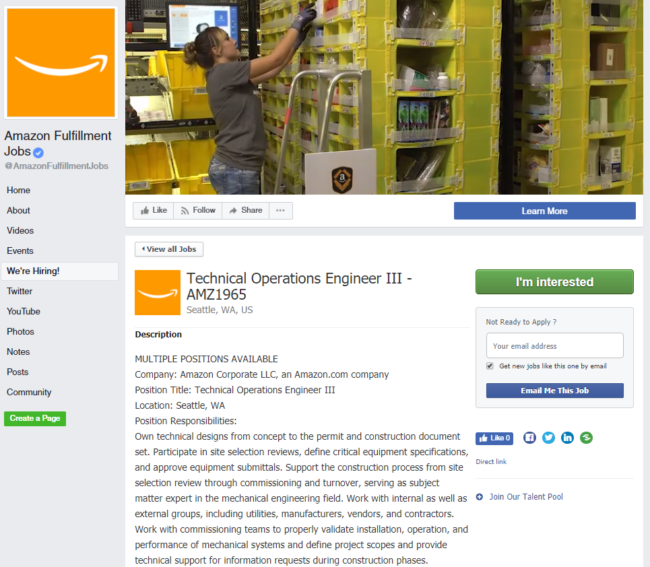 We’ve outlined the wealth of options available to recruiters looking to find qualified talent that’ll stick around for the long-term thanks to Facebook. Perhaps the biggest recruiting pain point presented by job boards is that you cast too wide of a net. Maybe you’re looking for someone with a highly specialized skill set. Perhaps you want to limit applicants to people in your own backyard. With job boards, you have little control over who applies (both good and bad). That’s why searching for talent via Facebook Ads is a solid starting point for recruiters. 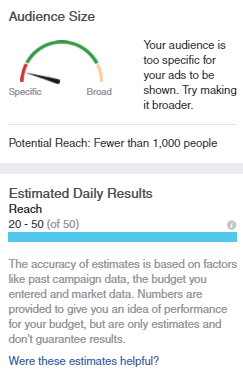 In fact, Facebook themselves recommend that businesses begin with ads. 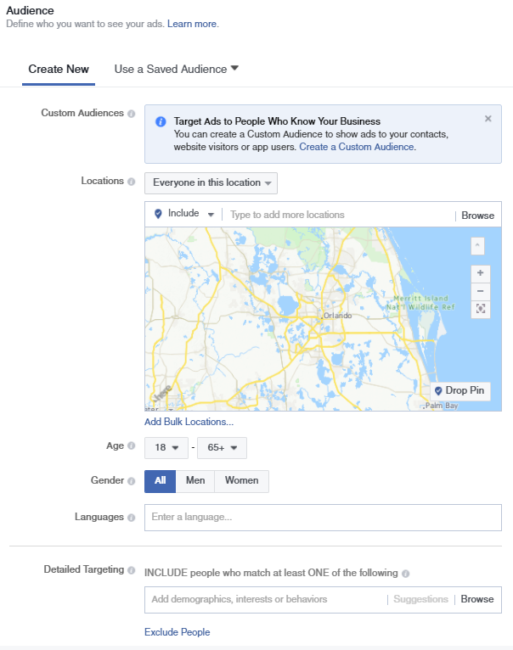 We already know that Facebook ads are the bread and butter of businesses looking to hone in on customers based on specific demographics. Now, there’s nothing wrong with this post. However, it’s not a particularly compelling ad for potential hires because it’s too broad. Now this post has potential as an ad. Why? For starters, it’s directed toward a specific skill set (those with hotel and hospitality experience). The post also focuses on a singular location instead of presenting itself as a generic “Hey, work for us!” post. 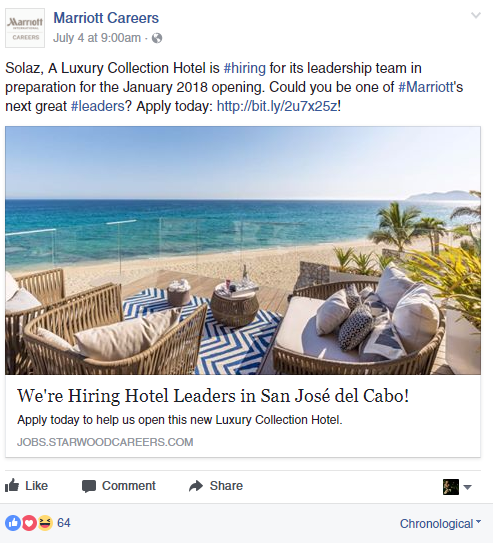 Think about it: how relevant is an ad for hotel leaders in Cabo for someone in Middle-of-Nowhere, Michigan? That’s the beauty of Facebook recruiting via ads versus hoping to catch someone’s eye with a one-size-fits-all job post. So, what happens when we only include users with “Ecommerce” in their current job title? 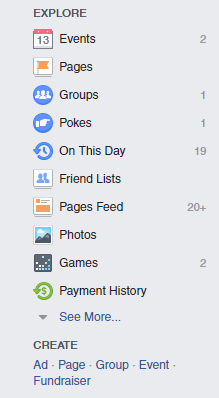 The specificity of Facebook’s ad platform is a far cry from hoping that something sticks on a job board, right? If we wanted to take things a step further, we could also exclude candidates’ profiles for irrelevant locations or experience. 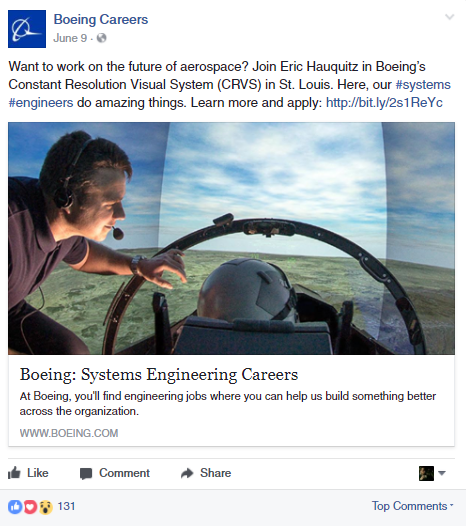 Facebook’s advanced targeting ensures that recruiters running ads are only matched with relevant results. Obviously you could spend ages fine-tuning your posts to find the perfect match. 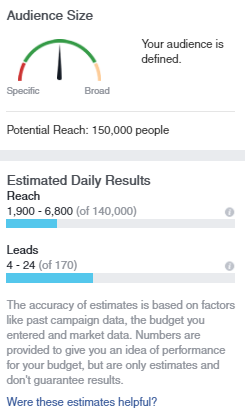 That said, the biggest benefit of Facebook ads is that you can streamline the hiring process versus drag it out forever. The point is this: Facebook recruiting provides businesses the opportunity to find exactly who they’re looking for based on demographics versus taking a shot in the dark. Whether you’re running an ad or posting a new position to your company Facebook page or group, it pays for your posts to stand out. After all, you’re competing against the latest memes, YouTube sensations and breaking news within your potential hire’s feed. Massive walls of text will only put your prospects to sleep. 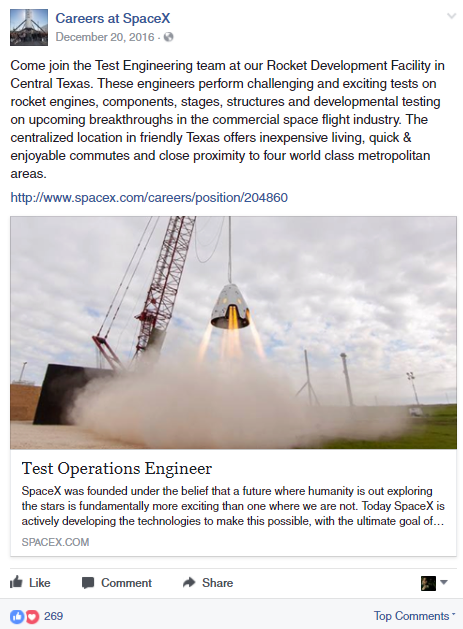 This example ticks the boxes of what makes an effective Facebook recruiting post. How so? The post includes an eye-popping image that’s atypical of a job listing. The copy of the post is warm and inviting, yet specific. The target link leads directly to a job listing, making the application process easier for interested talent. Short, sweet and to the point. The copy of this particular post creates a playful sense of urgency and drives interested applicants to click. The takeaway here? 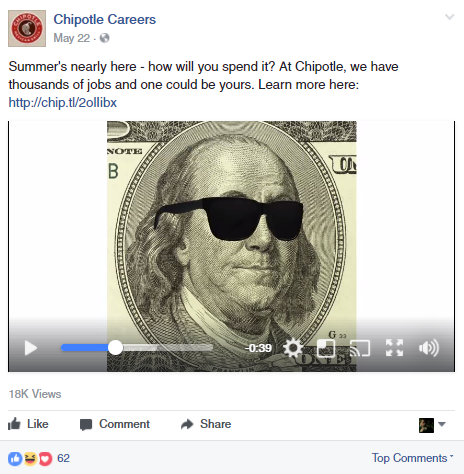 You can’t just slap a job posting on Facebook and walk away. Just as you’d test marketing copy via email or social, do the same with your Facebook recruiting posts. From image types and sizes to snappy copy and long-winded descriptions, recruiters have plenty of opportunities to get creative. 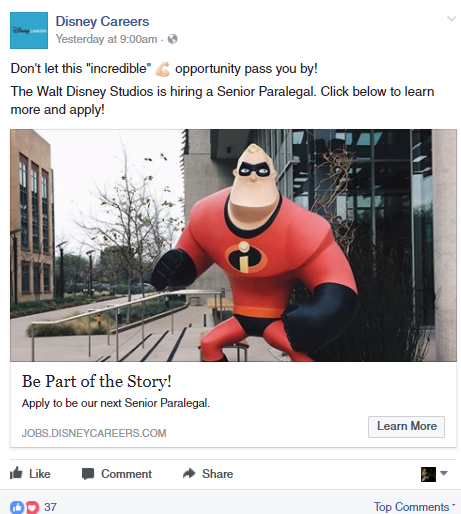 If you want to attract legitimate talent through Facebook recruiting, your posts’ copy and imagery need to be designed to drive clicks. 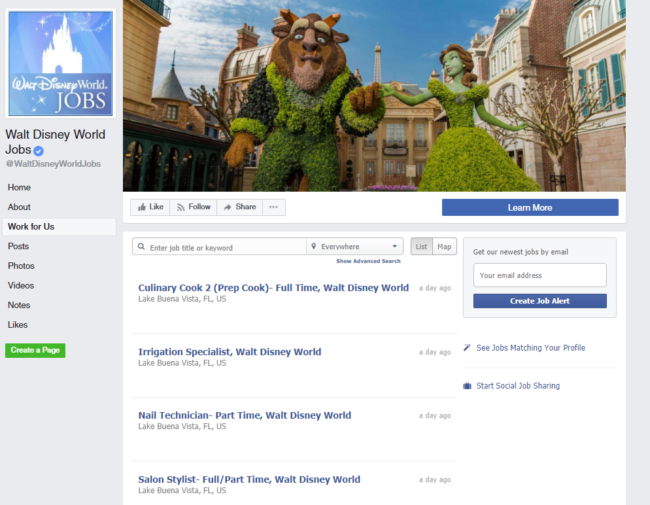 If you run a company with a sizable following and don’t want to flood your news feed with job postings, you may want to consider creating a Facebook page exclusively for career-focused content. Such pages are relatively straightforward in terms of upkeep as they mostly serve as another place for talent to access your company’s openings. Even though the majority of today’s recruiters are indeed using Facebook, there’s much more to the platform than hiring ads, posts and pages. In fact, Facebook groups represent a potential goldmine of talent for recruiters willing to do some digging. There are Facebook recruiting opportunities within groups both big and small across all industries. Keywords such “(industry) + job board” could likewise be the prime place to find the perfect fit for a one-off gig. For the most part, Facebook job groups are popular with freelancers and remote workers. The plus sides of these communities include fewer candidates to sift through and more transparency as applicants deal with recruiters one-on-one. As such, postings and responses are typically laid back as hiring is done back and forth via email or messaging. 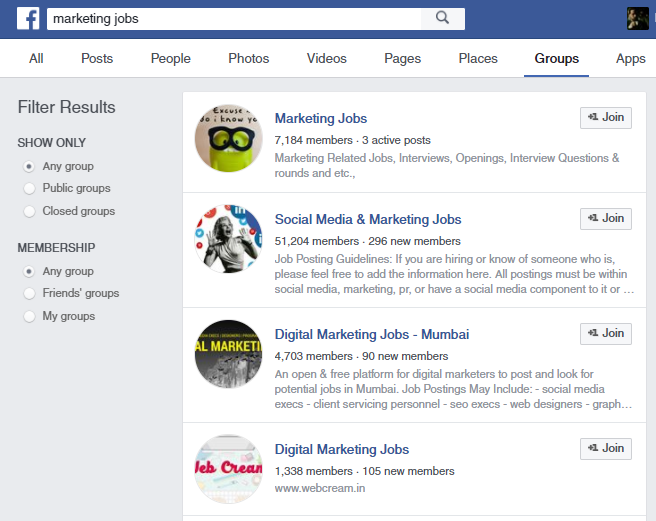 Finally, posting jobs to Facebook groups is totally free versus running ads. 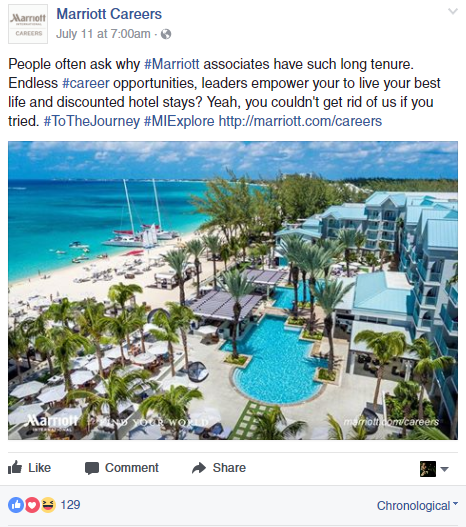 Sometimes new prospects might leave a comment on your Facebook recruiting posts asking for more information. Make sure you stay on top of the conversations to avoid missing out on a qualified candidate. You can use Sprout’s Facebook management tools to monitor conversations going on about your job postings or career opportunities on your page. Not only can you manage ad comments, through Sprout’s analytics tools, you’re able to see in-depth data into, which posts drive the most traffic and engagement. 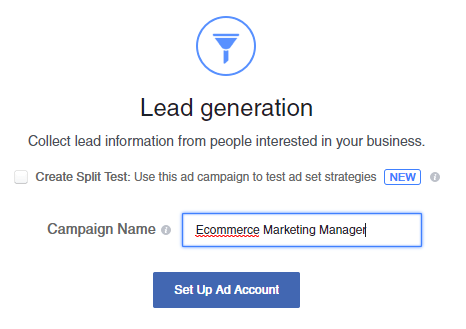 This makes A/B testing for your Facebook recruiting content all the more simple by analyzing what works and what needs help. 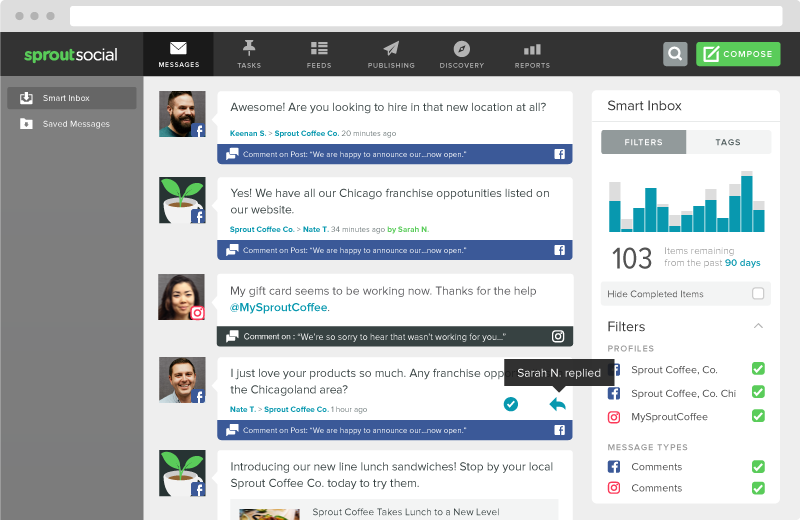 Want to see how Sprout Social can help your Facebook recruiting efforts? Try us for a free 30-day trial! 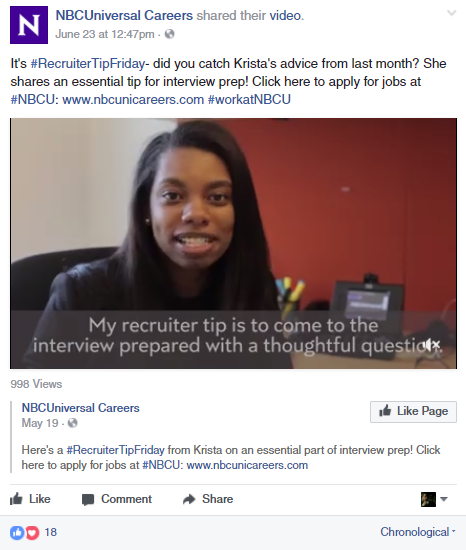 Are You Using Facebook Recruiting to Land New Talent? 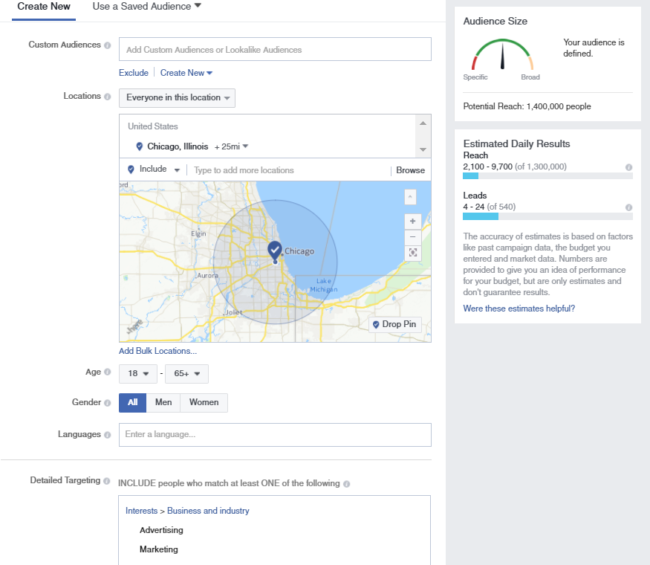 From running highly targeted ads to finding hidden gems in industry-specific groups, Facebook recruiting can help trim down the time it takes to find fresh, qualified talent. Facebook serves as a cost-effective alternative to old-school job boards and is a prime place to find professionals beyond the realm of LinkedIn. As more job-seekers take to social media in pursuit of their next gig, recruiters can stay ahead of the game by locking down their Facebook presence today. Do you have a success story of tracking down talent from social media? Still struggling to find the right fit for your business through Facebook? Tell us about your experience in the comments below.